I am Brenda Robbins, from Vancouver, BC, and I am running this crowdfunding campaign to raise money to cover the cost of participating in my ocean rowing charity adventure. As soon as I have the funds covered (from sponsors & crowdfunders) to participate in The Great Pacific Race (approx. $45,000) then this crowdfunding campaign will end and the charity fundraising campaign will begin. However, charity donations are encouraged at any point. I have chosen The Leukemia & Lymphoma Society of Canada to benefit from the high-profile nature of ocean rowing events. All donations to LLSC are received HERE (link to charity donation page). All contributors will get their name on the boat & companies who sponsor will get their logo on the boat, website, social media, & short documentary upon completion. 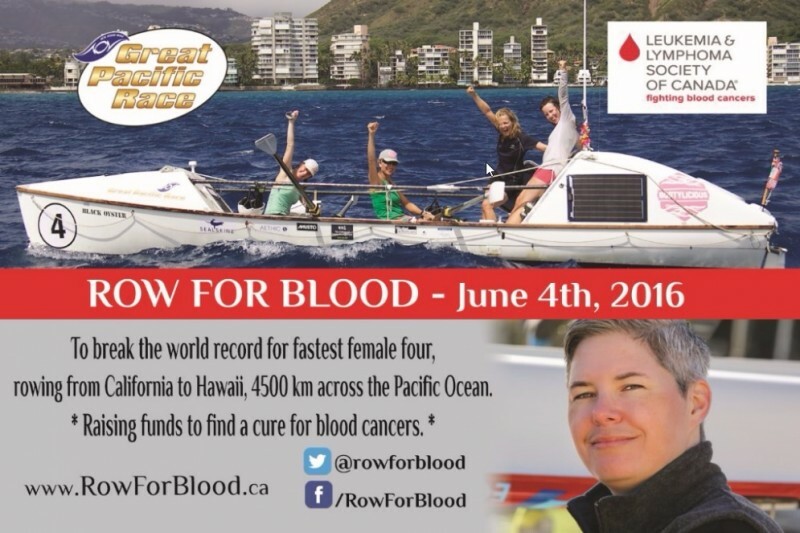 On June 4th, 2016, Brenda Robbins, as part of all-female team of four will row from California to Hawaii in a 24 ft ocean rowboat. Rowing 2 hrs, then taking 2 hrs off, the team plans to break the world record for fastest female team across the Pacific. 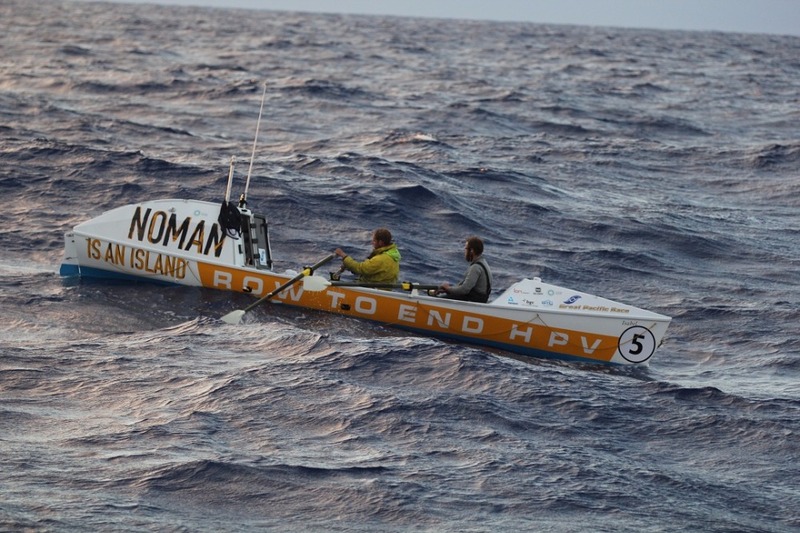 If successful, Brenda may be the first Canadian to row the Pacific Ocean. This team placement in The Great Pacific Race is a "Pay-Per-Seat" arrangement which means that the boat, supplies, and emergency equipment are supplied to me with minimal preparation on my part. I pay my portion and I focus on training with the team. This means that your contribution or sponsorship is that much more valuable. This dream, this campaign, this charity fundraiser will happen for a fraction of the cost of going solo and preparing and paying for everything on my own. That means your dollar goes further and has an immediate impact on the success of this campaign. First my plan was to row solo across the Atlantic Ocean (a budget of $150,000+). When that wasn't working out, I switched to new plan to join a team to row across the Pacific (budget of $45,000). Before long, the entire team dissolved for one reason or another (mostly financial) and my turn came as well. I withdrew due to lack of sufficient sponsorship (ie. insufficient funds). But! Your generosity has net nearly $10,000 in funds for The Leukemia & Lymphoma Society of Canada. I will row an ocean one day. I know that to be true. Don't know when, don't know how, but I'll let you know when I know. So, stay in touch, my friends. This is a picture of the boat we'll be using, "Isobel". However, it won't say "row to end hpv". It'll have YOUR name on it. $100 suggested donation to put your name on the boat and cross the Pacific Ocean with me. That said, I won't be leaving any of you generous supporters behind. With the increased media around my upcoming world record attempt, I wanted to make sure my crowdfunding campaign was clear for everyone who is considering supporting me. I recently added the below text to the description and on my website. For a suggested donation of $100 I will print your name on the boat that we are using to cross the Pacific. Good luck on your new Pacific journey! If I could give you $10000, I would! Great adventure you're on already and I look forward to hearing that you're at the start line. Row on! Looking forward to see you rowing on November 20th.